Throughout years there appears to be a greater number of single mothers who are working outside of the home to provide for their families. The traditional roles of a father working and a mother staying at home with the children has changed. This type of family tradition is no longer "normal". 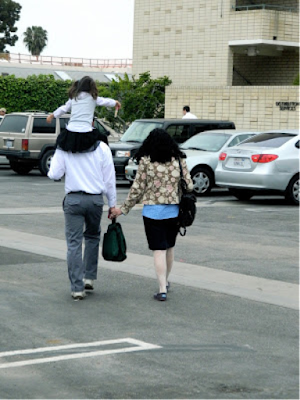 Usually both parents work outside of the home, and because of this the significance of fatherhood has been overlooked. This is a picture of my dad and I years ago on our trip to Europe. It is a silly picture because I had asked my dad if he was strong enough to pick me up. When we are younger, especially as daughters we look up to our fathers for almost everything, especially for protection. Is my dad strong enough physically? That is what I was trying to prove in this picture, but as I got older I looked to my father for his emotional and spiritual strength to keep our family strong. In the article titled, "The Distinct, Positive Impact of a Good Dad," by W. Bradford Wilcox, the author expressed how having a father in the home reduced depression and brought an overall more positive outlook on life. He states, " By contrast, great, and even good-enough dads, appear to make a real difference in their children's lives." I have seen this not only with my dad, but with my brother as well. He has three daughters. In the picture to the left is his oldest daughter. How many of us remember sitting on our daddy's shoulders? Do you remember how confident you felt as you could see the world through a new perspective? You believed that your dad could carry you and help you reach new heights that you could not reach on your own. W. Bradford Wilcox states, "In their approach to childrearing, fathers are more likely to encourage their children to take risks, embrace challenges, and be independent." Fathers do much more than provide financially for the family. They challenge their children. They push them to reach their full potential by taking risk. According to, "The Importance of Fathers," by Ditta M. Oliker, "Children with involved, caring fathers have better educational outcomes. The influence of a father's involvement into adolescence and young adulthood." This picture was taken right before I got on a plane and left for my mission. I know that my dad had an impact on me to help give me the courage and confidence I needed to serve a mission. When I was younger I came to my father for protection, to go on his shoulders and be lifted. Now that I am older I look up to my father for emotional and spiritual upliftment. The role of a father is never ending and does leave a lasting impact. Fatherhood could be considered sacred, the greatest calling a man could ask for. 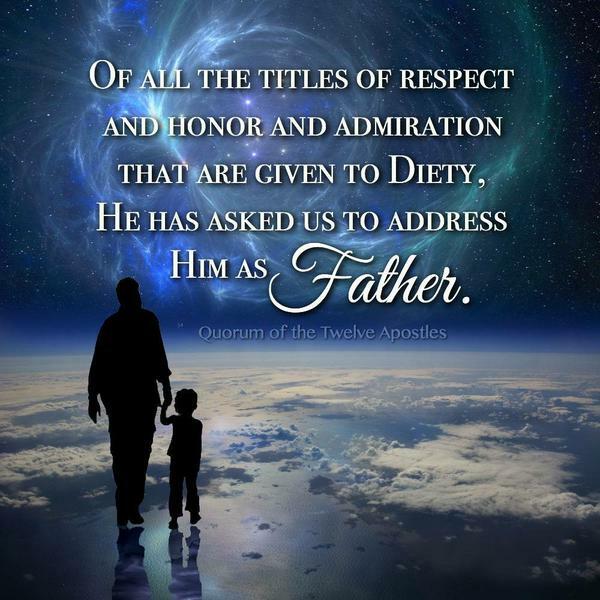 It is a calling that is most similar to that of our Father in Heaven and for that reason it is not surprise that the role of fatherhood is powerful Let us not forget how significant the role of fatherhood truly is, especially in these changing times.